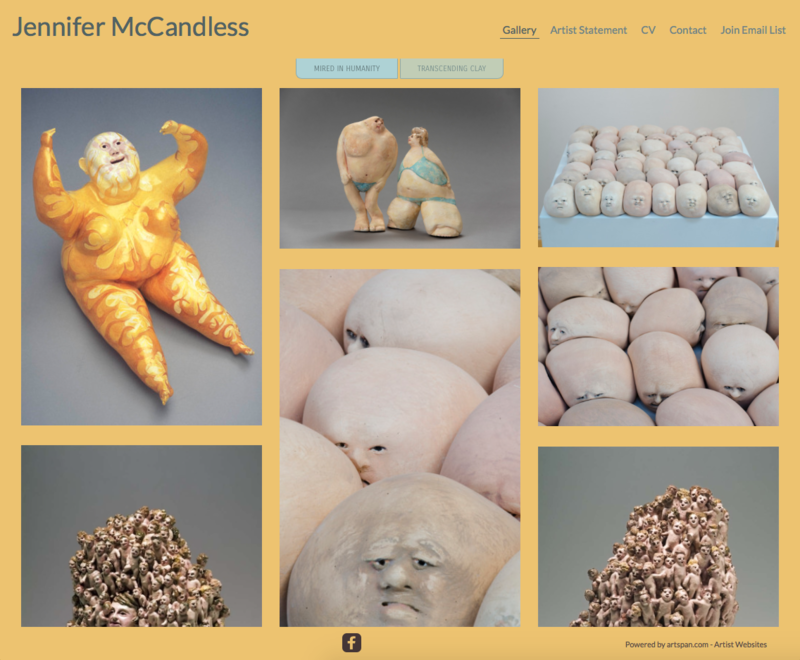 Jennifer McCandless' lively clay sculptures explore the frailty and strength of both her subject and her medium. The subject, frequently, is the human form, "from the sublime and elegant to the whimsical and humorous." While her work is fresh, arresting and alive, her Artspan site was not--she was using one of our older templates, which was not mobile-friendly. We upgraded to one of our new Florence Themes, which allowed her work to shine. We chose the Masonry Gallery display because we like the way it creates a world peopled with her lively figures. We also chose a bright, warm color for the background of the site, because her figures are photographed in a cool light, so this helps them to stand out.